The Lalit Grand Palace makes you feel like royalty in this romantic city with picturesque lakes and historic gardens. 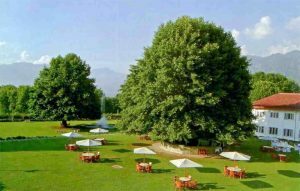 God has given a gift to romantics and it is called The Lalit Grand Palace Srinagar. The first time I caught sight of it, it was hardly visible, wrapped as it was in mist that hung low, completely obscuring the hills behind it. All we could see as our car glided up the long drive-way was tantalising glimpses of slopes, red-roofed cottages and vast expanses of space. Nothing could have prepared us for the bracing cold of a Kashmiri winter, and I now know why a kangri is not a luxury but a necessity: even the common man can afford it. it’s portable and makes you feel cosy and romantic in a way that an electric blanket or hot water bottle can never. But I’m getting ahead of my story. The Lalit Grand Palace Srinagar, it turned out when the mists had cleared, and a thin, watery sun shone, was a maharajah’s palace and we were fortunate enough to stay in the heritage wing. 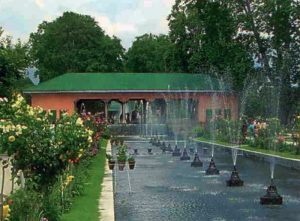 The grounds are indeed sprawling and give the impression of unlimited space, but what was the best part was the view of the Dal Lake. It is no secret that the lake is in a poor state and that houseboats crowd certain areas of the Dal, but from the vantage point of the hotel, all my husband and I could see was a serene lake with hardly a shikara on it. 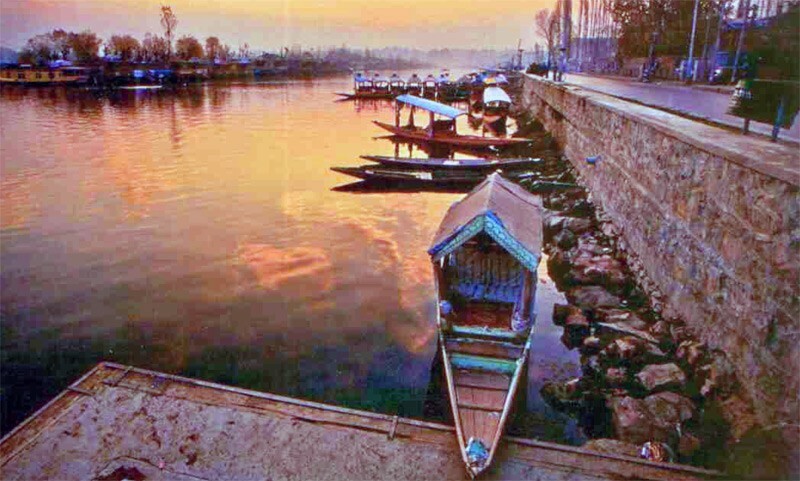 Conventional wisdom has it that winter Is not the best time to visit Srinagar, unless it is under snow. Nature was eventually to disappoint us on that score, but I found the dark, almost black outlines of trees silhouetted against an iron grey sky contrasted with brown earth yet another facet of an always beautiful Valley. 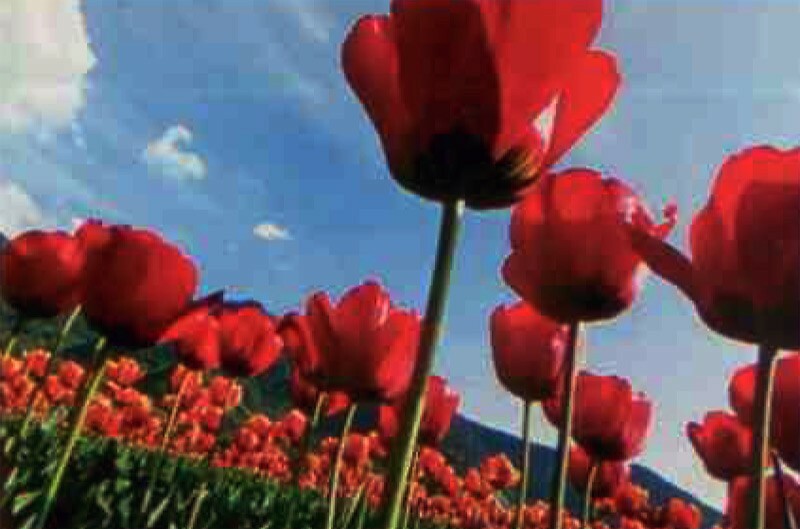 However, I found that without the trappings of snow, flowers, leaves or even grass. Srinagar’s fabled beauty had an altogether other dimension to it. In a sense, it was like the final test: when you have all your famous features stripped from you, will you still be attractive? We loved our stay at the hotel, but we only realised just how privileged we were when we were taken around the city for a tour of the sights, that was part of the package that we were on. Most other hotels were run down to the point of being tacky: in fact, downtown Srinagar was a warren of buildings that were either rundown or new and flashy. The temptation to rush back to the hotel was, therefore, great. The best part about The Lalit was the interplay between indoors and outdoors. Our I was large and could have been an ice-box had it not been for the central heating. 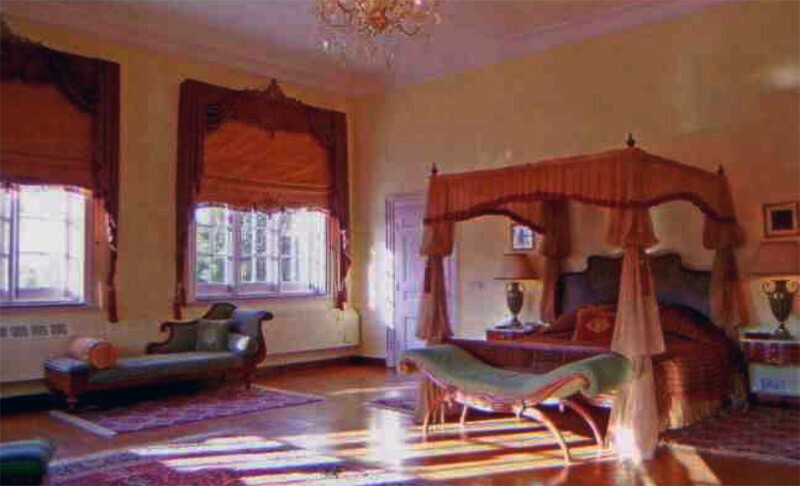 sitting room (all accommodation in the heritage wing are suites) overlooked the gardens attracted the most natural light. As a result, when we felt too cold to venture into the garden, we’d enjoy the warmth of the sitting area with steaming mugs of tea by our side and blessed silence – a commodity that life in a city can never give you. The one day we happily spent outdoors was for a shikara ride. At first, my husband and I were convinced that we’d freeze our socks off, but winter in Kashmir teaches you to be prepared for all eventualities. Our shikara man had a violent pink blanket that he kept wrapped in a plastic case for the convenience of his customers. Under that we snuggled, whence he produced his trump card: two kangris, lit with glowing coal. The tens of thou-sands of holiday-makers who visit Kashmir in summer have my deepest condolences. Never will they experience the joys of huddling under a blanket with a kangri close to you, while the shikara half glides, half waddles across miles of scenic beauty, the likes of which I could never have imagined. There were tiny portable floating gardens, larger vegetable gardens, anchored to the bottom of the lake with poplar trees, local markets selling washing soap and toothpaste, tourist shops selling embroidered jackets and silk paintings; there were lively areas and utterly desolate ones. The shikara ride was a highlight of our romantic rendezvous, beaten – but only just – by Gulmarg. Gulmarg looked like a piece of Swiss countryside in a calendar: too unreal to be true. There was no flat land as far the eye could stretch – only slopes, steep and gentle. 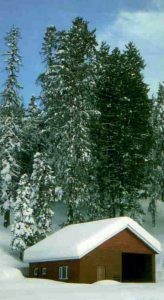 That and pine trees, weighed down by drifts of snow. Here and there were cottages with steeply sloping roofs, almost buried by snow. Merely being in the snow was not uncomfortable: it was the act of walking that took forever. This after we equipped ourselves with boots, a ski stick each and warm clothing that can be hired from ski shops that dot Gulmarg. If sounds travel far in the desert, snow blankets them: for the few hours that we spent in Gulmarg, the overwhelming impression was one of silence. In fact, several times, we got the impression that we were on the sets of a silent film: there were lines of first-time as well as experienced skiers, but absolutely no sound. Romantic as Gulmarg was, it was a little overwhelming, and the warm lights of The Lalit beckoned us that evening, when we returned at dusk. Tucked up cosily for the night. both of us agreed that our winter sojourn was the most romantic trip we had ever been on. The Lalit, formerly a palace, overlooks the picturesque Dal Lake. This 125-room-and-suites ‘heritage’ property has a heated indoor swimming pool, beauty salons. Rejuve spa, a fogging track, tennis courts, expansive laws and shopping arcade. It also also has access to the adjoining international standard volt course — Royal Springs Golf Course. The hotel’s surroundings are ideal for boating and trekking. 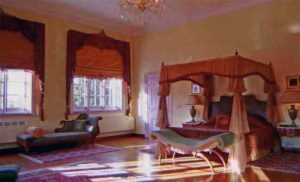 It is just minutes away from the city’s historic attractions like the Nishat and Shalimar Baqh, Chashmashahi and Pan Mahal. The couple package includes accommodation in the Palace Suite, airport transfers, welcome drink, buffet breakfast and dinner on fixed menu basis, and a city tour. 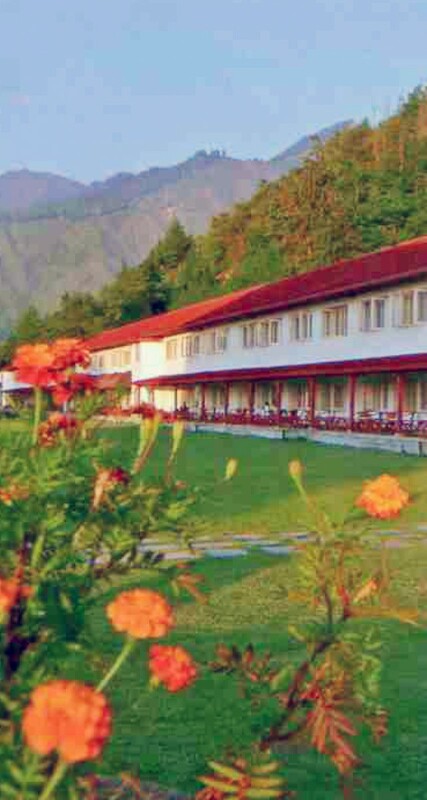 A 2N3D stay comes for Rs 16,000 and a 3N4D stay for Rs 24,500 (including taxes) as at 2009. Srinagar’s airport is serviced by many airlines, all of which fly from Delhi, (flight takes one hour) though there is a regular flight from Jammu too. 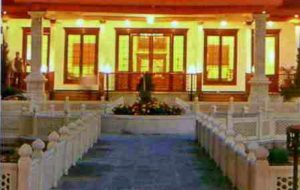 The Lalit will pick you up from the airport which is around 15 km away, and is adjacent to the Governors house. The nearest railway station is Jammu. Gulmarg is exactly 70 km away from the hotel and is an approximately one and a half hour drive. Gulmarg is snow bound for almost half the year, so dress accordingly. Whether it snows in Srinagar or not is a matter of luck and timing.